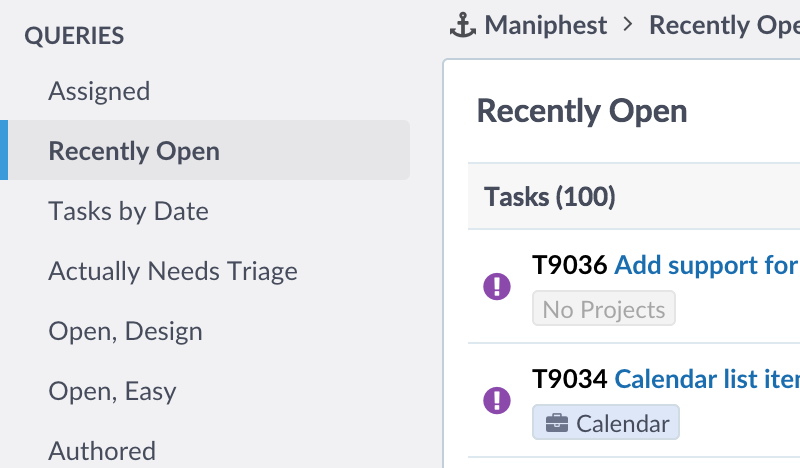 Maniphest is a customizable tool for tracking issues and features throughout your product's development cycle. Maniphest is built to be simple, and easy to use, while offering power users the ability to expand and remix items as needed through custom fields, custom searches, custom forms, API integration, and Workboard organization. Custom search filters help provide each team member with the information they need to get the job done. Want to know which team members have open high priority tickets, no problem. Wondering what your team of interns is being assigned? Gotcha covered. Maniphest integrates with other Phabricator applications, from attaching Differential revisions, commits, and Pholio mocks. 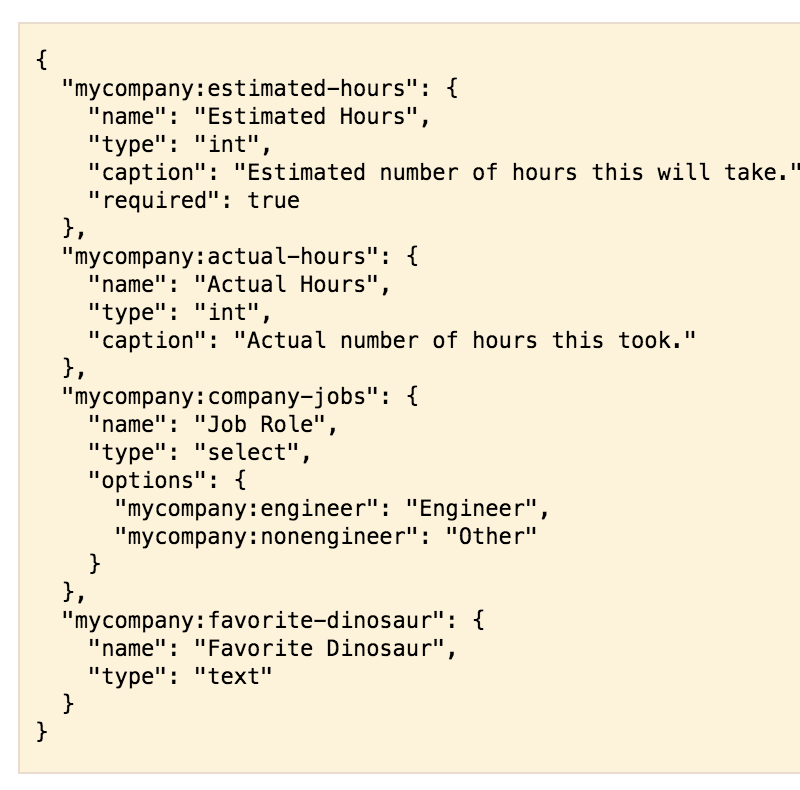 Need more fields for your product when filing tasks? With custom fields, whatever you can imagine, Maniphest can handle. 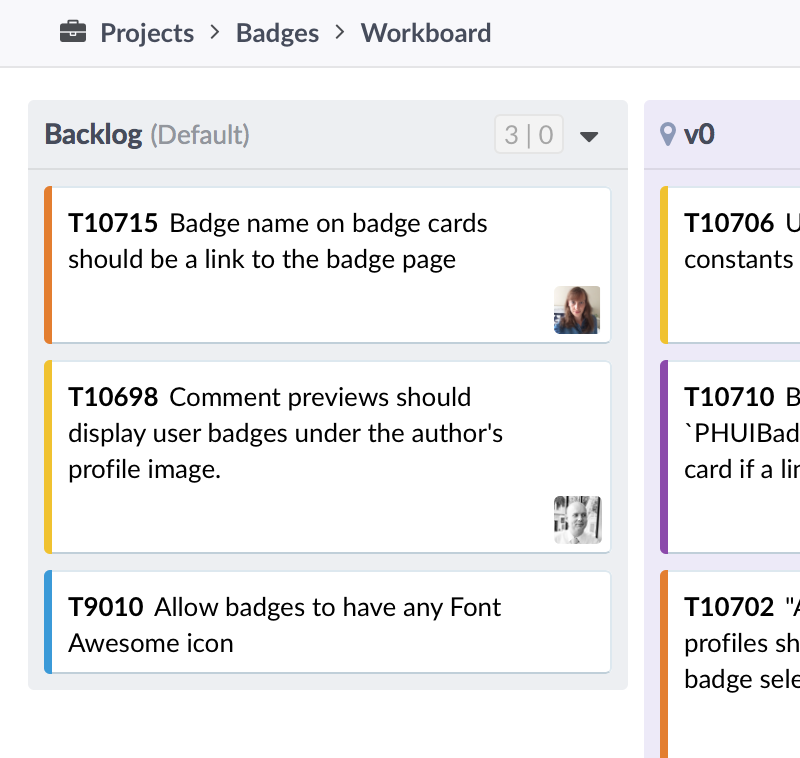 Keep track of versions, customers, platforms, whatever extra information you need to properly describe the task or bug. 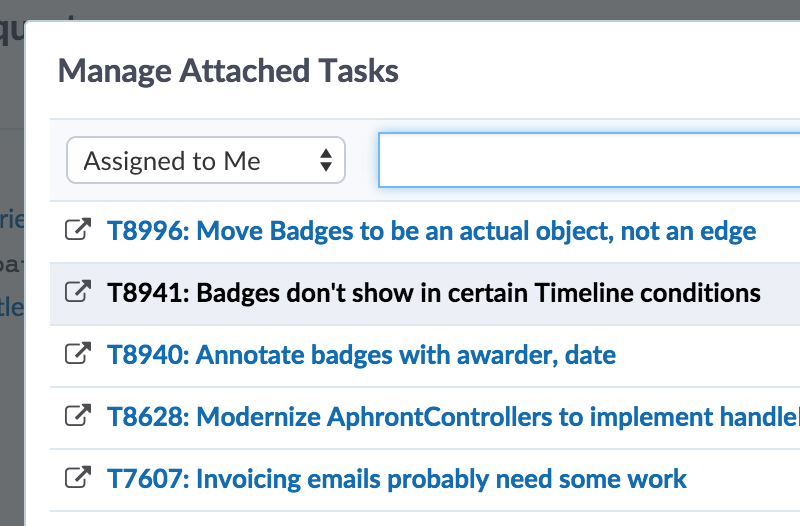 Project Workboards let you work more effectively with tasks. Divide up current states, bucket work by milestones, or just for for an all out sprint. 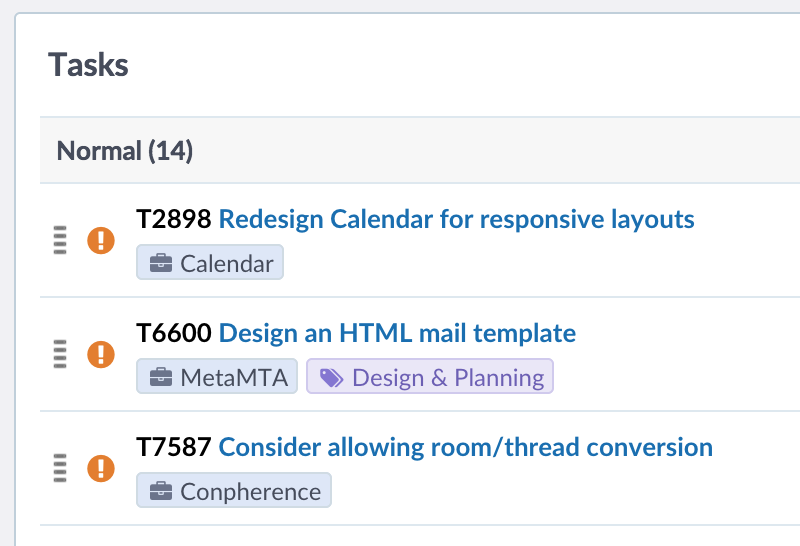 Our Kanban style workboards are flexible containers for whatever your project may be. Assign story points and more.